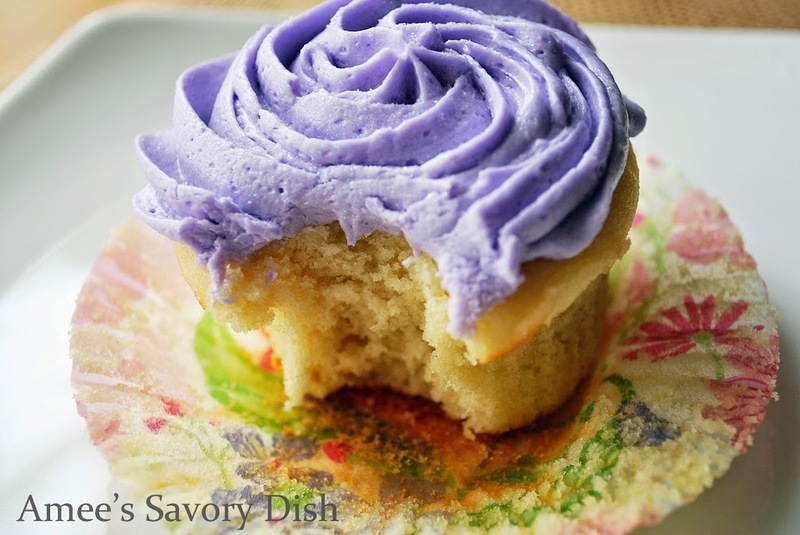 Lavender earl grey tea is the shining star of this easy homemade cupcakes recipe! I have to admit, I was a bit skeptical of how these floral-infused cupcakes would taste. I have never done baking with lavender before, but I have devoured a few lemon lavender shortbread cookies in the past and they were, melt-in-your-mouth, delicious. The flavor is subtle, just like in this lavender earl grey tea cupcakes recipe from sisters, Sophie and Katherine, at Georgetown Cupcake. I’m sure you’ve seen their famed show, D.C. Cupcakes on TLC. I bite my nails watching them running around in a mad frenzy catering large events. They seem to have fun with it, but that kind of stress would make this girl crazy!! I am happy baking for friends and family and, in this case, a very special teacher at my daughter’s school. My daughter, Lauren, has been in speech therapy since kindergarten and she finally “graduates” this year at the end of fourth grade. Her speech teacher is pretty special to her (and me), so I wanted to bake her something that she would enjoy. She had mentioned in the past that all she wanted, if I ever bring her a gift, was some of my homemade cupcakes, so I was definitely going to make that happen for teacher appreciation week. Lauren discretely asked her what her favorite cupcakes are and she said she has always wanted to try the Lavender Earl Grey Teacakes from Georgetown Cupcakes. I was so excited to be able to find their recipe online on Talk Takeaway at CBS.com and I didn’t change a thing. These lavender earl grey cupcakes are so moist, buttery and exotic, that I think I’ve found a new favorite cupcakes recipe! *Note: I couldn’t find Lavender Earl Grey tea, so I steeped a cup of Earl Grey tea with a tablespoon of dried lavender for a substitute. Line 2 cupcake pans with 18 baking cups. Place the unsalted butter in the bowl of a stand mixer. Add the sugar; beat on medium speed until well incorporated. Reduce the speed to low. Add one-third of the flour mixture to the butter mixture, then gradually add one-third of the milk mixture, beating until well incorporated. Add another one-third of the flour mixture, followed by one-third of the milk mixture. Add the remaining flour mixture, followed by the remaining milk mixture, and beat just until combined. 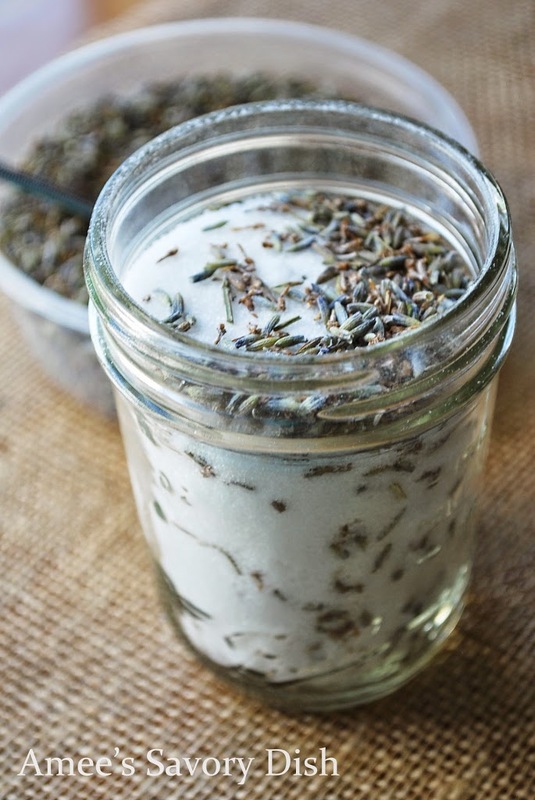 Mix in the cooled lavender earl grey tea (and lavender sugar) until fully incorporated. Scoop batter into baking cups and bake for 18 minutes or until a toothpick inserted into the center of a cupcake comes out clean. Add the confectioner’s sugar; beat on medium speed until well incorporated. Add the vanilla extract, milk, salt, tea, and purple food color, and beat on high speed until light and airy. Transfer to a piping bag with a large round piping tip and frost each cupcake with Georgetown Cupcake’s “signature swirl”(I used a different favorite decorating tip)? The color of that frosting is SO beautiful! Congrats to your daughter, I’m sure she loved this cupcakes! 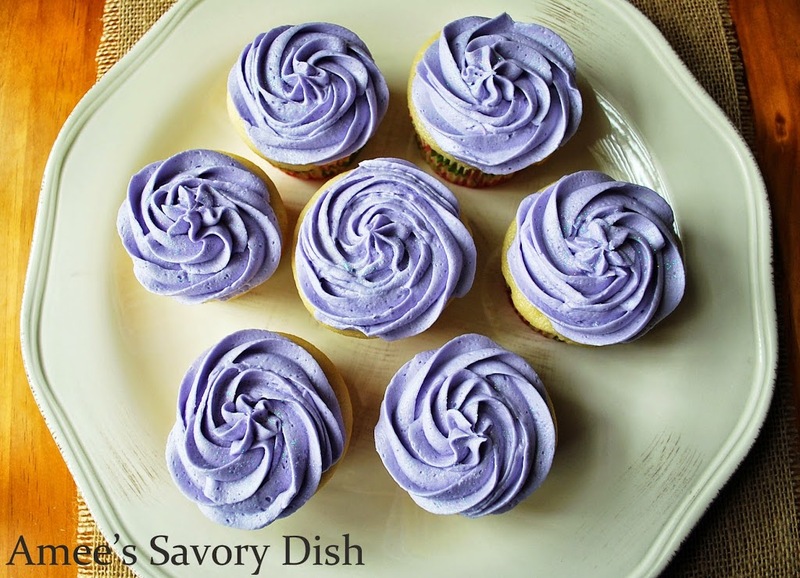 I love lavender as a flavor to desserts, and these look so good! It was great meeting you at Blogher Amee! Thank you Gerry! It was wonderful to meet you, too! Their purple color is stunning! Thanks for coming and linking up at The Weekend Social. Please be sure to come back next week starting Thursdays at 9PM EST on culinaryflavors.gr ! I hope to see you there! I know you posted this years ago, but how much tea did you steep to get it “extra strong”. Did you just double the tea bags and follow the brewing instructions? You could double the tea bags for the extra strong flavor or just steep it longer. Both ways would work just fine.